Minimizing liability is quintessential for any prudent business. Liability could mean costly lawsuits, the loss of valuable business opportunities or relationships, large monetary penalties, serious financial or reputational damage, or even product recalls. Under Proposition 65 (Prop. 65), liability for businesses can be all of the above. 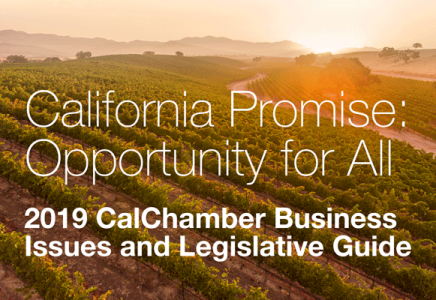 For decades, companies selling products, food or beverages in California or that manufacture, supply or distribute products sold in California have wrestled with the requirements of Prop. 65. In 2017 alone, nearly 700 cases were settled with defendants paying more than $25 million in plaintiffs’ attorneys fees and penalties—not including defense counsel fees, business interruption and other costs to comply. 1. Significant changes to Prop. 65 liability allocation. The new Article 6, Section 25600.2, the “Responsibility to Provide Consumer Product Exposure Warnings,” reallocates liability for Prop. 65 violations by significantly strengthening the indemnity power for retailers against manufacturers and upstream entities. Although most major retailers already shift obligations for Prop. 65 compliance onto suppliers and manufacturers through indemnity agreements, Section 25600.2 will provide some relief to small retailers by clarifying the obligations of supply chain parties and places the primary burden of Prop. 65 warnings on the manufacturer, producer, packager, importer, supplier or distributor. 2. Consider your full supply chain and indemnification agreements. Businesses need to consider their full supply chain when analyzing Prop. 65 liability under the new regulations. Since the allocation of liability is more expressly laid at the feet of manufacturers and upstream entities, businesses that sell their products directly to suppliers and distributors, as opposed to the retailers, could still be liable for a retailer’s failure to warn if the supplier or distributor fails to warn the retailer. Manufacturers and upstream entities should analyze their indemnity agreements with their suppliers and distributors and seek to clarify the specific obligations relative to Prop. 65 in such contracts. • Be displayed to consumers before their purchase is completed with a tie to the product for which the warning is being given. Additionally, manufacturers and upstream entities could be liable for a retail seller’s failure to warn under the new liability allocation (see items 1 and 2 above). Accordingly, manufacturers and upstream entities should provide to the retailer sellers notice of the need for an internet warning, and the exact language to use. 4. When retailer is liable. • The retail seller is selling the product under a brand or trademark that is owned or licensed by the retail seller or an affiliated entity. In other words, if your name is on the product, you are probably the manufacturer under California law unless it is clear the product was manufactured by a third party. • The retail seller has “actual knowledge” of the potential consumer product exposure requiring the warning, and there is no manufacturer, producer, packager, importer, supplier, or distributor of the product who (A) Is a “person in the course of doing business” under Section 25249.11(b) of the Act, and (B) Has designated an agent for service of process in California, or has a place of business in California. “Actual knowledge” means specific knowledge of the consumer product exposure received by the retail seller from any reliable source. OEHHA attempts to provide additional guidance in its Final Statement of Reasons by stating: “a retail seller may acquire knowledge of an exposure that requires a warning through news media, its customers, or a trade association.” Nevertheless, the ambiguity over what constitutes a retail seller’s “actual knowledge” will likely be settled by future litigation. 5. Products manufactured before August 30, 2018. Good news. The new regulations provide a sell-through period of unlimited duration for any products manufactured prior to the effective date that complied with existing Prop. 65 requirements. Businesses DO NOT need to relabel, pull from shelves or destroy existing inventories. The information in this article is not intended to convey or constitute legal advice, and is not a substitute for obtaining legal advice from a qualified attorney. You should not act upon any such information without first seeking qualified professional counsel.